Charlotte’s Web. It’s an all-time literary classic about friendship and love that has transcended generations. Today, a company with the same name is creating its own legend and paving the way for others operating in the hemp space. Charlotte’s Web (TSE:CWEB) became the largest Hemp IPO in history in August last year, when it raised $115 million at C$7 per share. Its growth has been for several reasons. Its founders, the seven Stanley brothers, who have spent the last 10 years developing their hemp products, not only took the messages of the classic book to heart, but also took inspiration from the journey of Charlotte Figi. Charlotte is a young girl afflicted by a rare and severe form of epilepsy. After taking the Stanley Brothers’ customised hemp extract her condition improved significantly. The Stanley Brothers’ journey began with a single industrial hemp strain and the company has since morphed into one of the world’s leading producers and distributors of hemp-based CBD wellness products. The company has 23 products on the market and 14% market share with multiple products planned for 2019 across consumable, pet offerings and topicals. 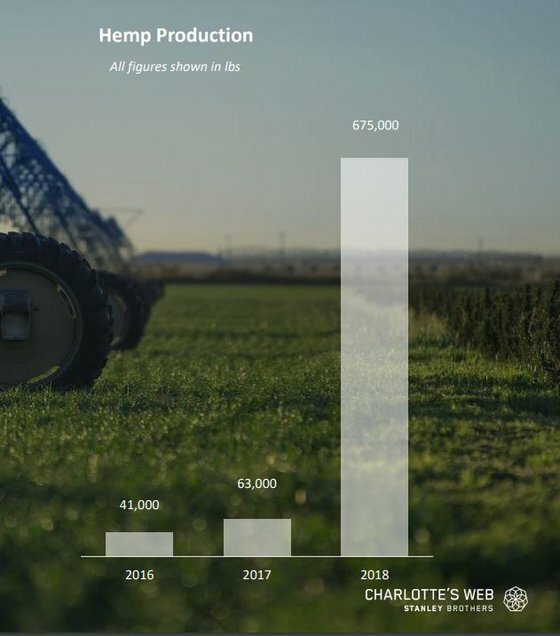 Charlotte’s Web has year on year revenue growth of 172%, in an industry in which annual US hemp derived retail sales is estimated to grow to $7.5 billion. Shareholders have been rewarded too, with the stock more than doubling over the past year. What is most interesting here, certainly for one Australian ASX player looking to follow in the Stanley Brothers’ footsteps, is its cultivation metrics. In 2016, the Stanley Brothers planted 45 acres of hemp. That has grown to 300 acres in just two years at its company operated farm in Colorado and partner farms in Kentucky and Oregon. While yields should never be taken for granted, based on Charlotte’s Web’s yield, CLI sees a whole lot of upside. 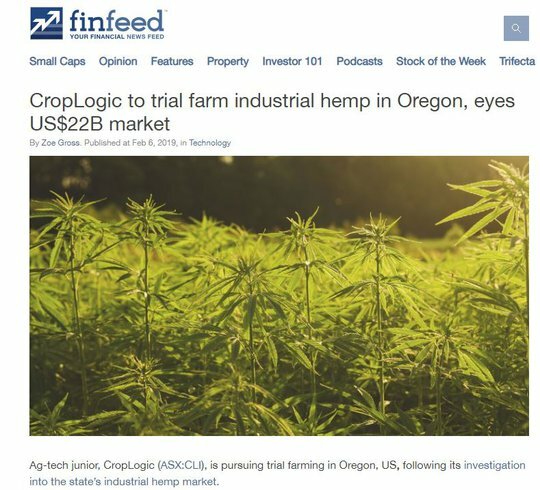 We covered CLI’s operations in detail in yesterday’s article: Could CLI’s AgTech Solution Help What May Be a $22BN Hemp Market? However, today’s announcement that the company is to pursue trial farming of industrial hemp in Oregon adds significant weight to the story. This trial will demonstrate CLI’s ability to vertically integrate its agronomy expertise, digital ag-tech, extensive knowledge of the local growing conditions and its tangible foothold in the Pacific North West region. CLI is currently working towards land procurement and processing arrangements with the trial expected to begin in the 2019 Northern Hemisphere growing season. As stated above, CropLogic (ASX:CLI) will look to trial farm its first crop of industrial hemp during the Northern Hemisphere growing season. With seeds to be planted as early as March and as late as May, it may not be long before CLI is experiencing the fruits of its labour. Utilising its local agronomists’ regional knowledge and experience, CLI will look to source 100-150 acres of land, for either lease or purchase. The land will be used for the industrial hemp trial farm, with the intended crop farmed using CLI’s probes and aerial imagery to grow the hemp biomass, which will then be used to produce cannabidiol (CBD). To fast track the process, CLI has signed a non-binding letter of intent with Canadian-based NextLeaf solutions. NextLeaf is a cannabis processing technology company with whom CLI is hoping to cement an offtake and collaboration agreement. If you have followed CLI’s story, you will know that much of their growth has been based on strong collaborative partnerships including with the New Zealand Institute of Plant and Food Research, Mildura Regional Development and the Victorian Government. The collaboration with NextLeaf is further evidence of CLI’s intention to form partnerships where there is a great mutual benefit. It expects to enter into a binding agreement in the coming weeks, with NextLeaf providing knowledge and experience to advise on suggested hemp varieties and processing. You can read further about this in the following Finfeed article. The pending trial and collaboration with NextLeaf is a major milestone for CLI in its pursuit of vertical integration as it looks to fully understand how best to select appropriate genetics and grade. It is an opportune time to be doing this as the emerging hemp market in North America will provide CLI the opportunity to demonstrate how its technology can serve the market. The Stanley Brothers/Charlotte’s Web link isn’t just a tenuous link when discussing CLI. There are some real comparisons to be shared here. Not least is the crop yield. Remember, CLI is starting at 100 to 150 acres of land and all going to plan, and with the use of its crop imaging and monitoring technology, could see similar numbers quite quickly. CLI’s vertically integrated business model could be ideal to get the best results here. Now with yield in mind, let’s take a look at CBD pricing. Using Charlotte’s Web yield numbers, at 150 acres CLI should be able to produce 337,000 pounds of hemp biomass. Growers are currently getting US$45 per pound for biomass. You can do the math, but keep in mind that cropping is uncertain and an inexact science, so these numbers are speculative only. They are here to give you an indication of scope. Looking at the market more broadly, RhizoSciences notes that prices vary significantly based on quality, location, payment terms, certifications, testing standards etc. 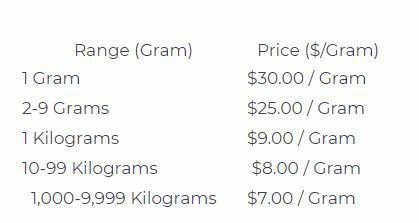 Here’s an example they give: An 80% CBD distillate brought in a 5kg lot might cost $8 per g of CBD, meaning the 5kg of CBD costs $40,000. Note the total weight of distillate will be 6.25 kg. The Denver Post tells the story of Trey Willison, who switched his operation from marijuana to hemp. He harvests the seeds and extracts CBD from the remaining plants that can fetch up to $13,000 per kilogram. The numbers are big, because as the title of the above article suggests, hemp industry is exploding. It is little wonder why CLI has entered the hemp market. They have the technology to not only significantly influence and service horticultural growers, with a market share as high as 30% in some crops, and could do the same with the hemp industry. Looking at Charlotte’s Web’s success in hemp cultivation, production and distribution, CLI is looking to follow a similar path. With trials beginning shortly, it won’t be long before we see how far this sub-$4 million capped ASX junior can take this new vertical. Could CLI be the next Charlotte’s Web?